I am a certified Hippocrates Health Educator who helps motivated individuals to gain optimal health and peak performance through dietary and lifestyle upgrades. I qualified as a veterinary surgeon in 1985, and have subsequently researched human nutritional health for over two decades. As a result, I am now recognised as one of the UK’s leading authorities on the raw and living foods lifestyle (sometimes also referred to as the “Alkaline Diet”). My personal health journey began in 1990, when I was classified as a medical write-off, experiencing chronic fatigue and Epstein-Barr virus both at the same time. I was told that I would probably never recover, which quite honestly I didn’t like the sound of. Refusing to accept my diagnosis of “incurable”, and realising that I had probably done something wrong to create this mess, I began working out what to do about it. As a result of my scientific training, I knew that drugs were not the way to kick out viruses and that my immune system would have to do that for me. Via a radical change in diet and lifestyle, incorporating a lot of raw food and forcing myself to exercise, I achieved the apparently impossible – reversing my illness within 6 months. Since my recovery, which was most unexpected by the medical profession, I have run marathons, competed in triathlons, mountain bike races and other demanding endurance events, climbed mountains and gained my black belt in Karate. My healing journey is fully documented in my latest book The Fatigue Solution, available here. 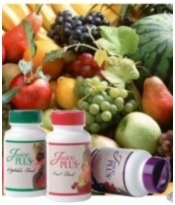 I have a passion for nutrition, peak performance and the innate healing potential of the body. I have embraced a full living foods lifestyle since 1998. It has improved my stamina, endurance and health status in immeasurable ways. Now in my early 50s, I enjoy the same energy levels and dress size as I did in my 20s. Keen to access the most cutting-edge information on this lifestyle, I enrolled at the Hippocrates Health Institute in Florida to train as a Health Educator. I graduated from the Institute in 2006, and am delighted to bring their science-based, time-proven approach to optimal health and vitality to the UK. I continue to read and research scientific literature in all areas of health and performance development, also attending seminars given by world leaders in this field several times a year. This ensures that I stay up to date with the latest information, so that I can continually bring the benefits to my clients. 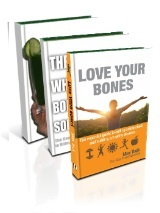 My three published books, The Whole Body Solution, Love Your Bones and The Fatigue Solution are testament to my quest for this knowledge. The living foods lifestyle has been in existence for over two thousand years, and its benefits are now being experienced by an increasingly large number of discerning health seekers worldwide. My mission is to help you to join them.